As usual, Dan Simmons proves that he is a master of whichever form, and whatever subject, he chooses. 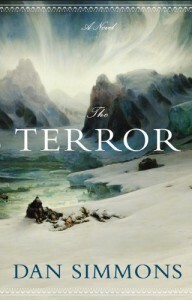 "The Terror" would be a terrifying read without any supernatural reference. Simmons' detailed description of the progressive effects of scurvy was nothing less than chilling. A great craftsman, Simmons' descriptions of life on ship are on par with those of Patrick O'Brian. The reader will have to decide for him or herself whether it was worthwhile including "the Beast." I started out thinking it was completely unnecessary, and that the story of the Franklin Expedition could quite readily stand on its own. By the end, however, I thought he had found a much more interesting role for "the Beast" than he had originally. I ended being quite content with the outcome. "The Terror" is quite a long book, and can, at times, become the slog that was the lot of the crew, attempting to drag their boats across the ice. But generally, this was not the case: The story moved at a good pace, and kept my interest throughout. Surprisingly, I quite enjoyed the bits and pieces of eskimo mythology and clan history that Simmons threw in so liberally at the end. They helped lighten a story that was inexorably grinding the reader down as Simmons had so thoroughly ground down his crew. All in all, "The Terror" was a very good book. Simmons was able to transform an excellent--if tragic--adventure story into something more. I wouldn't hesitate to recommend it as one his best works to date.